There are Tool Rebels in the industry and craft sectors – and of course in the leisure sector as well. 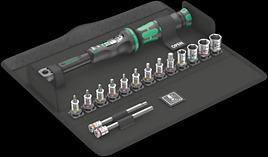 We wanted to put together compact screwdriver sets for bicycle applications that are used on the road or professionally in the bicycle workshop. 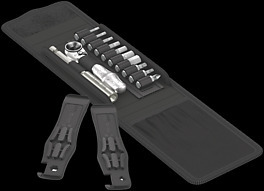 The Bicycle Set 1 contains tools for the most popular screw profiles on road bikes, mountain bikes and e-bikes. Thanks to the compact textile-folding pouch, the set is also the ideal companion for cycling tours. The Bicycle Set Torque 1 contains tools for the most popular screw profiles on road bikes, mountain bikes and e-bikes. With the included Click-Torque A torque wrench (2.5-25 Nm), even torque-sensitive screwed connections can be loosened and tightened reliably. Clear and compact tool storage in the textile box.